Great for parties! 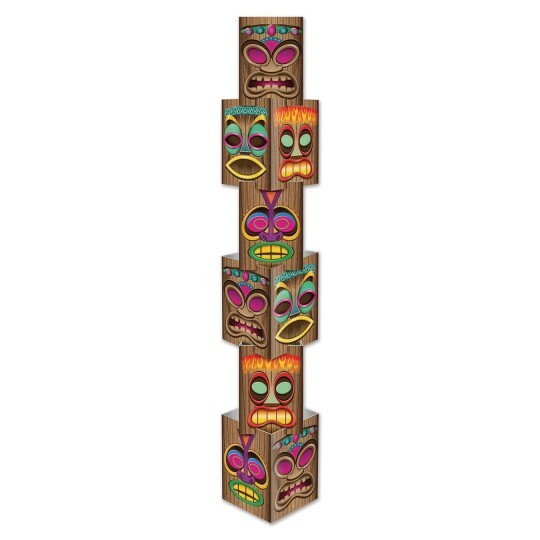 Simply assemble the six individual sections for an outstanding luau tiki column decoration that stands over 5’ high! Made of sturdy paperboard and measures 12’W x 5’ 7- 1/4” tall.